I'm almost never on Boolprop anymore, but for some reason logged on this AM and discovered that I was nominated for a Golden Plumbbob Award. If the person who nominated me is on my f-list, thank you. I really appreciate it. If anyone here is still a member on Boolprop and wants to vote for me, you can do so here. Chapter at last! Feel free to comment here, if you are so inclined. Enjoy! Comment here or on Boolprop, whatever your desire. Ta da! Feel free to comment here or over at Boolprop. 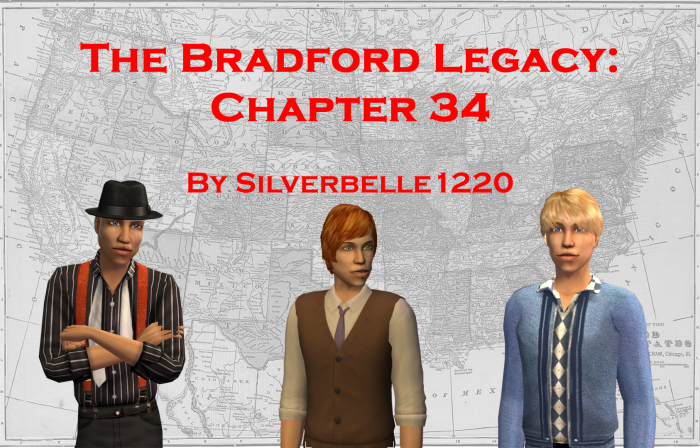 So I've been slowly playing away at the rotation and I finally got to the Bradfords. I'm just going to leave this here. Comments are much appreciated. What's been going on, you ask? Life. Since starting my new job (which I love and is awesome, btw), I've had to readjust to working full time and using the weekend to recharge. Counseling is demanding, and I'm pretty sapped by the end of the day. Needless to say, it's not left me much energy for creativity. I haven't abandoned the Sims entirely; I've got an uberhood that I'm messing around with for fun, as well as a Victorian RKC themed 'hood that I'll probably share the storyline from at some point. But I realized the other day that I missed the Bradfords. So, I pulled out the half-written next chapter that I've been poking at for the better part of a year (still can't believe it's been that long), and opened up Simsfield for the first time in what feels like forever. I have a few pics to share behind the cut. They are presented without caption; infer from them what you will. I hope to have this long-in-progress chatper out soon. Steven is so close to going to college, and therefore meeting his wife and all that, which means generation 9 is *thisclose*. I want to finish telling this story that I started on long ago. As 2014 only has about 28 hours left by my clock, I figure I should do this. 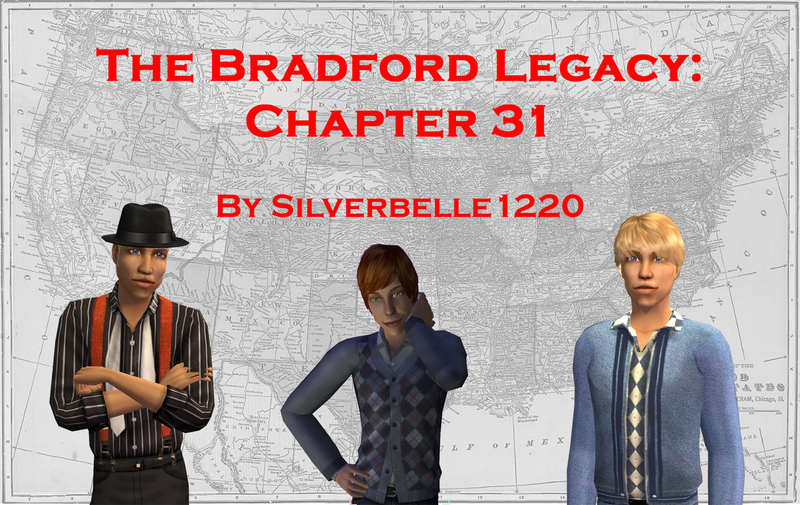 1) Meet Generation 9 and finish planning the legacy endgame. Considering I didn't even publish a Bradford chapter in 2014, this was a big fat nope. Oh, well. I was occupied with other stuff. Check and check. I spent a bunch of time messing around in Pleasantview, and also set up a Victorian-themed RKC. I have plans to share some more of that, once I get the Bradfords wrapped up. 3) Learn some different CC skills, like texturing. I dids this! And I am wicked proud of myself. I have a few other things that I'm working on and will keep poking at when I have more than an hour or two at a time. 4) Complete my BRRL spare story for Desdemona. Yup, did this too. This was more work that I thought, and between it and my internship, it kind of drained my creativity. 5) Graduate from my master's program and get a real job. Done! I graduated with all As save for one class (Human Growth and Development), and now have gainful employment at the site where I did my internship. I love it, and I'm so glad I was brave enough to quit a job I hated to go after my dream. So what's on tap for 2015? 1) Meet Generation 9 and get the main members of it to college. Seriously. 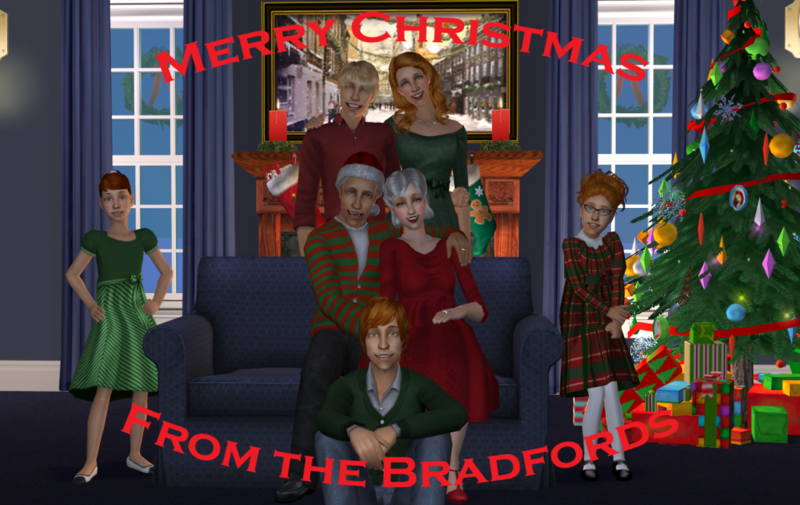 I love the Bradfords, but I'm so close and need to get it finished. 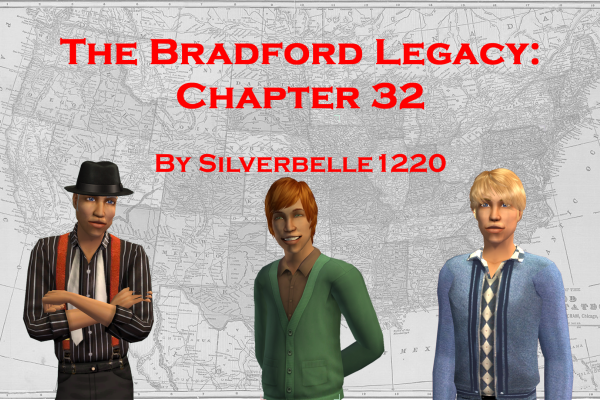 2) Publish 3 Bradford Chapters. Since the next chapter is about a scene and a half away from being written, I think I can do this. 3) Work on and finish my Super Sekret CC Project. I can't say more than this, as I don't want to disapoint if it doesn't work out right. Always good to do what got me into this game in the first place. 5) Enjoy my job and make a dent in my student loans. The downside of not working while earning a Master's is debt. I want to pay it down as quick as I can, so I'll be spending the next few months looking to refinance at a lower interest rate, and throwing buckets of my newly found paychecks at Uncle Sam. But so, so worth it. So that's about it. If I don't talk to you before then, have a Happy New Year and a great 2015. Summary: Trying to do too many things leads to a minor disaster. Notes: Canon. Will appear in the next chapter, when I get around to releasing it, so it’s a spoiler. Hence the lack of names. Merry Christmas! Click on the pic for a small present from me. Whatever holiday you celebrate this winter season, I hope it's a happy one. Summary: A bit of a character study on Steven. Notes: Canon. Will be appearing in the next chapter, so it’s a spoiler. Summary: There’s only one way to say you’re sorry, or at least that’s what he’s come to believe. Notes: Canon. This is referencing a future plotline, so no names or details to avoid spoilers. Summary: Veronica plays brothers’ keeper. Notes: Canon. This may be alluded to, but will probably not appear in a future chapter.